Seniors to Date is a dating site for men and women aged 50+ who are looking for love. It's free to create a profile, search members, and send some messages, but you'll need to upgrade to a paid membership for the full communication options. There isn't any room to share information about your interests or personality on the main platform—you’ll have to do that privately, making it hard to find a match based on anything other than appearance. Signing up to Seniors to Date is simple and straightforward. You’ll just enter your email address and a password to create an account. Then you’ll be asked for an up-to-date photo, and it’s off to fill in your profile! Seniors to Date asks you to write a ‘status,’ similar to a Tweet, that shares what you’re thinking about at the moment. You’ll be asked to describe your appearance from some basic drop-down options, but unlike some other dating sites, there’s no opportunity to share more details about your interests and preferences in a mate, so it’s all very focused on your appearance. Once you’ve opened your account, you can return to your profile area and add more information about your income, education level, and more physical details such as whether you have any tattoos, your eye color, and your height. Seniors to Date is a very visual site, so you’re encouraged to upload photos and videos. Seniors to Date also offers a ‘Cute or Not?' Live Gallery feature. Each time you click, you'll be shown a single member photo, which you rate by clicking the heart or the X icon. There's also a Seniors to Date app for Android and iOS, but you'll need to be a paid member to use it. When you sign up, you’re given the option to use your Status as a ‘promotion message’ which gives your account greater visibility on the site and allows people to get in touch even when you’re offline. It’s important to note that men won’t be able to view a woman’s full photo or more than her main profile photo unless he is a paid member. You can easily make a connection by clicking the ‘wink’ or ‘chat’ icons on a member photo. A wink is a simple way to make a connection, or you can extend it into a chat conversation on the Seniors to Date secure chat platform. You can use the chat platform for private text, audio, or video chats, or mingle with the virtual crowd in online chat rooms. In order to get the conversation going, Seniors to Date invites you to send Flirtcasts. These are flirty messages with pre-set questions or conversation starters, which you can send to multiple people at once. You can buy the Chataholic upgrade, which shows you as top in Seniors to Date messenger, ranks you higher in search results, and allows you to see when a member reads your messages. This upgrade doesn’t seem to be offered to male users, who have different pricing. Men get unlimited messages when they upgrade to the paid membership option. If you’re a free user, you can only send a maximum of 5 message per day, and only one per user, so you’ll want to upgrade in order to hold a real conversation with anyone. Seniors to Date users who are really security-conscious can add the Extra Security upgrade to their membership. It brings full HTTPS encryption, auto history cleaning, and allows you to browse incognito so that other members don’t know who’s checking them out. Even without this upgrade, Seniors to Date is pretty safe. You can see if members have been Verified if they have a Verified check mark by their name. This means that Seniors to Date has confirmed their identity. You can also use the Seniors to Date platform to ask someone to add photos or videos of themselves or to use the live cam (for men, this is a paid-only option). You’ll find plenty of sensible, safe online dating advice on the website, and it’s easy to block or report someone who pings your warning radar. You can use Senior to Date as a free member, which allows you to browse and search for profiles, save members to your favorites list, and chat with other users, but you'll have major restrictions placed on the number of messages you can send. With a free membership, you can also view messages in the public chat rooms. Seniors to Date offers different pricing for men and women. You might not even realize this, because you’ll only see the pricing according to your profile gender. Women can choose to pay for the Chataholic upgrade, the Extra Security upgrade, or bundle both together with the Premium Dater upgrade. All subscriptions are monthly and renew automatically. When you buy any upgrade package, you’ll also get free access to the Senior to Date app. Men are only given one paid upgrade option, which allows them to see all the photos of other members and women’s ‘looking for’ information, as well as getting unlimited chats, extended search filters, and premium support. Customer support is available through an online web ticket, but there’s no information about when the support agents are present. 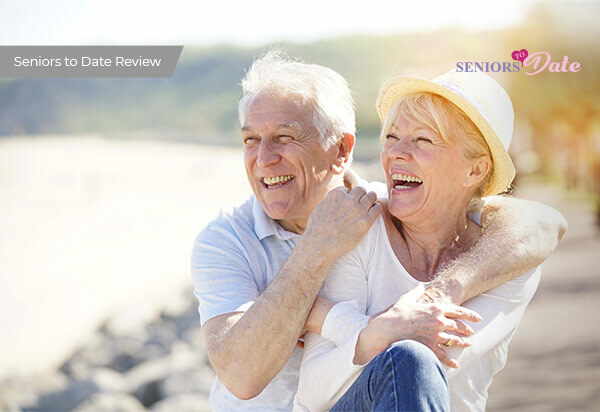 Seniors to Date has a very well-organized help section with answers to most questions. The biggest strength of Seniors to Date is that is has a really fast and simple signup process. There's also a lot of encouragement to connect with people using conversation starters and winks. If you're looking to find people with similar outlooks, interests, or personality types, you'll have to get into conversation to find them, because the profiles are all about your appearance.